Widespread revolution in the rapidly changing beauty marketplace requires a new set of marketing strategies to be successful. Brands need to decide how and where cosmetics are best marketed including through digitally-driven technologies, and by creating customer “experiences” at the point of sale, all the while dealing with widely varied margins and new ways of optimizing sales team results. Consumers can now engage with a company in a physical store, on an online website or mobile app, through a catalog, or through social media. Current market research technologies provide faster feedback and allow a broader understanding of what works and what doesn’t, yet the scene is constantly shifting. New science-based approaches have emerged to attract targeted, more-educated consumers that help brands stay current while growing their revenues each year. Michael Hawley is a dynamic business strategist and customer experience architect with a broad base of skills who will share how to align customer experience across channels while building margins, and inspiring teamwork. This is a don’t miss presentation! For the past two decades, Michael has mastered how to shift gears, starting from operating in the traditional retail environment, first at Bloomingdale’s NY as Regional Merchandise Manager and later as GM of the SoHo Store, before moving to Chicago to re-energize the Flagship store of Saks Fifth Avenue as VP & General Manager driving a 20% sales increase over 4 years. He then accepted the challenge as CEO of TRUE Cosmetics to re-energize the flagging beauty brand. 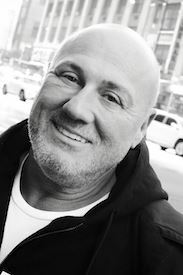 Returning to NY in 2012, he was VP of Marketing & Sales for The Fragrance Group and launched 4 new brands in stores including Barney’s, Nordstrom and Neiman Marcus. Moving to the Los Angeles in 2014, he became General Merchandise Manager at Beautykind, with full responsibility for planning and execution of all marketing initiatives including digital marketing and building vendor relationships where he added 130 new brands to the portfolio. Earlier this year, he took over the reins at NOTE Cosmetics, the Istanbul-based, world-wide color cosmetic line as President where he is redesigning their brand message, optimizing searchability and creating Buzz through both the beauty press and influencers. Michael will share from his varied experience how to navigate in the rough waters of today’s marketplace, and how to execute customer-focused initiatives designed to outpace your competition. at The Ayres Hotel, 14400 Hindry Avenue, Manhattan Beach/Hawthorne, CA 90250 just minutes from the LAX Airport Exit the 405 at Rosecrans Avenue. Imagine unlimited design possibilities for your labels and packaging. Translate the passion you have for your product into unique, eye-catching, and colorful works of art. Adcraft's exclusive, award-winning JetFlex Technology™ will increase your product’s shelf appeal with vivid digital CMYK colors, super opaque white inks, Pantone brand specific colors combined with traditional flexo embellishments like embossing, cold foil, and textured varnishes. Include variable images and text, and an augmented reality experience and you have an unforgettable user experience. Our hybrid printing technology lets your creativity thrive by combining the best capabilities of flexography, digital, and screen-printing on one affordable custom label.